He just never wanted to get back up. What? Can't a dog eat in peace? He's eaten every meal in this position from the day he came home. Really. It's a blog hop! Click HERE to join in on the fun. It looks like JF really enjoys his meals. Takes his time. Cute picture! I love it! If you can't relax when you eat, when can you relax? Millie does the same thing! 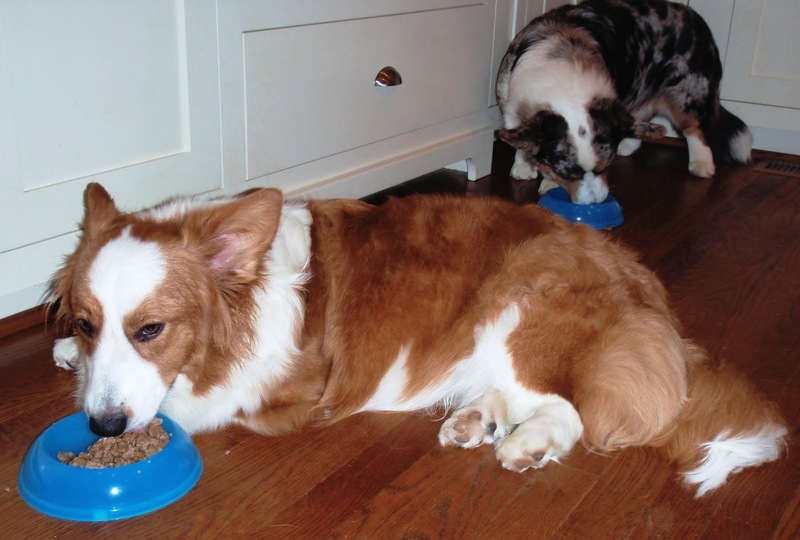 Meals are much better enjoyed when you can lie comfortably and eat at your leisure!